We’ve seen a ton of brides through the ages wear nose rings / naths that seem to be bigger than their faces. But not our 2017 brides! What we noticed this wedding season is minimal nose rings that are dainty, elegant and rather aesthetic. Now you may say they aren’t all that bridal – but they go perfectly well with a good neckpiece or even accessorized with a mathapatti or maang-tikka. In fact, minimal nose rings balance out the bridal head gear. 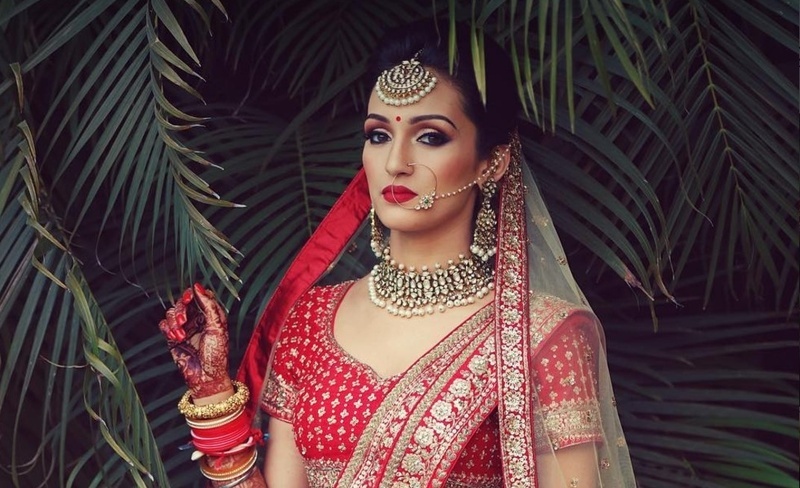 What we saw the most: brides flaunting thin rings with small floral Kundan designs.